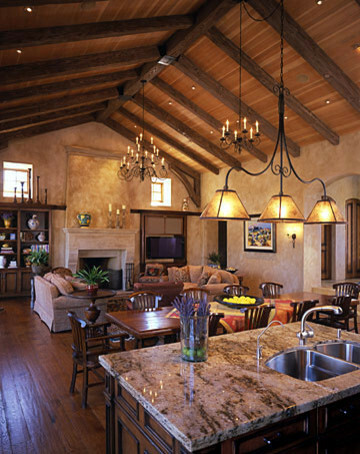 Lapidus granite is quarried from a bedrock quarry in Brazil. Lapidus changes quite dramatically from bundle to bundle. It can be quite dark, rich and rust colored. It can also be on the lighter side with a lot of grey. Be sure to select your exact slabs when purchasing this color. From Arizona Tile's website..."Blocks from the top of the quarry have a darker gold color, while blocks that are extracted from deeper portions of the quarry will be lighter. Over millions of years, water has penetrated deep into this stone through small cracks and fissures, causing the iron oxide and other minerals to oxidize. 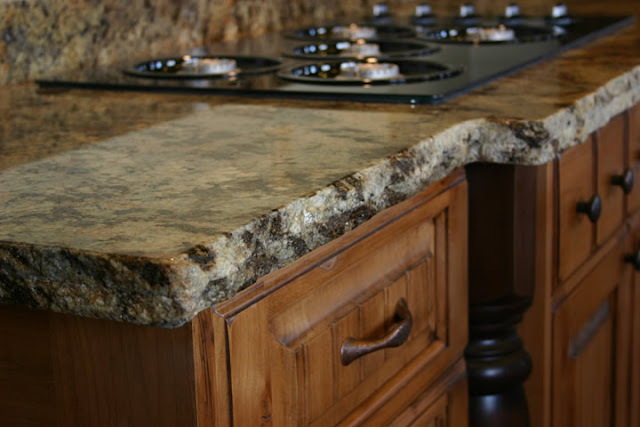 It is this process that produces the rich, vibrant gold tones that are visible in this granite. Before oxidation, the stone's natural color is gray and some portions are still visible in the slab amidst the golden hues, these areas are known as islands." We may be a little partial to Lapidus around here....both BJ and I have Lapidus in our own kitchens, mine has a honed finish on it. Other names for Lapidus include: Juparana Lapidus, Golden Wave, Labereda, Lapidus Dark, Lapidus Beige and Giallo Lapidus. Lapidus is available in 2 cm and 3 cm slabs. 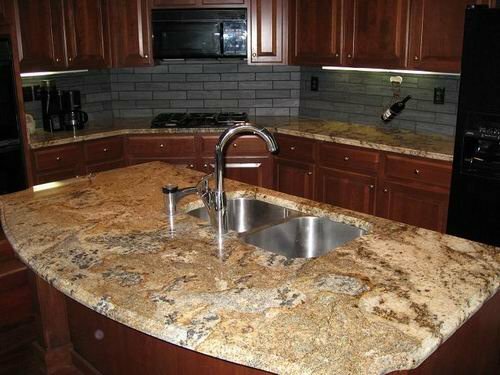 Before & After: Lapidus Granite Kitchen. Kitchen with Lapidus Granite Countertops. My honed lapidus granite now has many silver flecks. This was unexpected as I loved the old world look and color of the lapidus select slabs chosen. Is this common? Wondering if there is a process other than polishing to hide these flecks as they were not noticeable when polished. Thank you.